This pineapple dessert is very easy to make. Adding dates makes it sweeter and delicious. 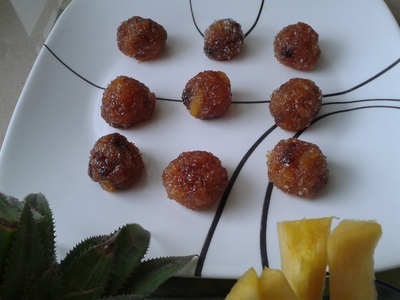 You can adjust the amount of sugar depending on the sweetness of the pineapple and dates. 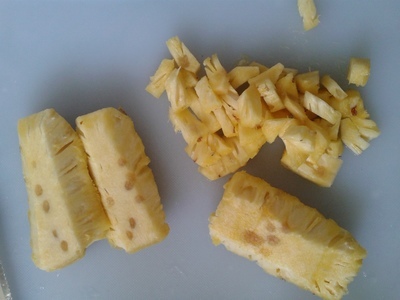 Cut the pineapple into small pieces. Discard the hard center portion of the pineapple. Put the chopped pineapple in a bowl. 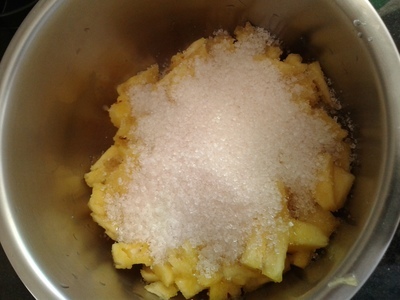 Add 1/2 cup sugar into it. Cook over low to medium heat. Since the pineapple has a lot of water content, you do not add water into it. 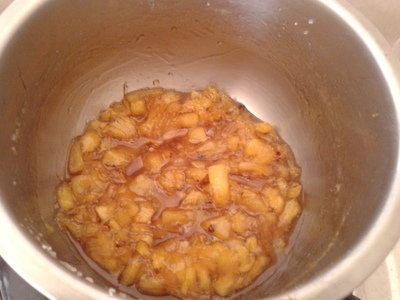 The mix will become watery on cooking. 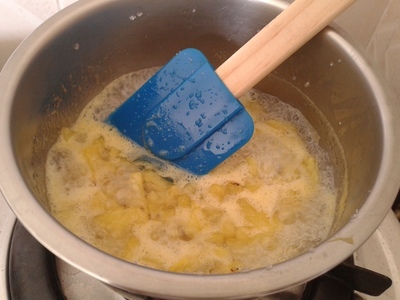 Cook until the water evaporates and the sugar syrup reaches a one strand consistency. Remove from heat and let it cool. 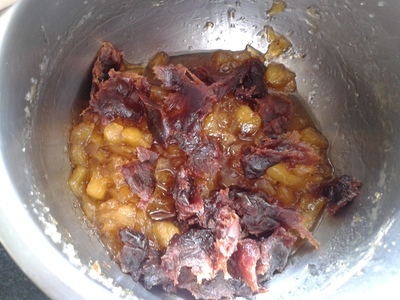 Mash the pitted dates. Add this into the cooked pineapple. Mix well to combine. 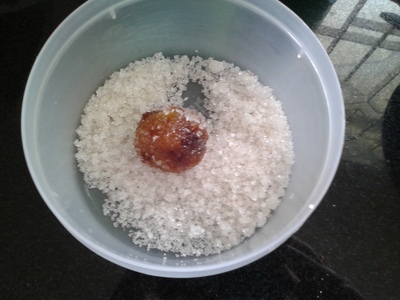 Make small lemon sized balls with the mix. Roll the truffles in sugar to coat. Enjoy these truffles. Most kids will love them!